This is from a Life Book lesson from a few weeks back . . . I'm way behind in the lessons, and truthfully I'm not doing them in order anyway. but. I don't know. I would rather they were a bit more uniquely mine. I think I'll try the technique with some other creatures. Or people. Something. I'd like to fill an art journal, or create a book, with quirky creatures. This little guy feels not quite done to me. I may give him a little more . . . something. 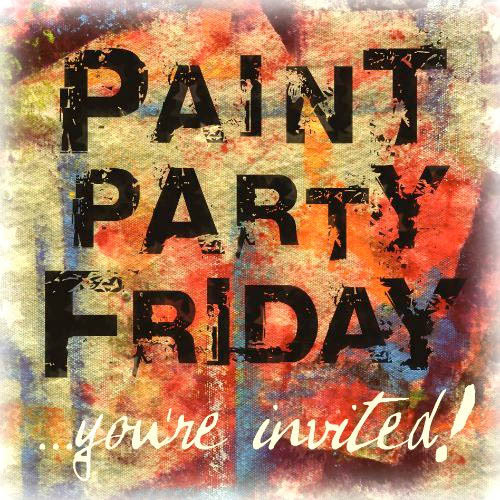 This is also for Paint Party Friday. Thank goodness it IS still Friday. I am late, but not completely out of time. Visit both IA and PPF to see the wonderful creativity in both spots! Ohhhh my God.... Looooove it !!!!!! background with the vibrant fancy birds. These little birdies are wonderful!! Such adorable birds. I love the backgrounds. I love your crazy birds, they make me smile so. And the just sit beautifully on the spattered backgrounds. 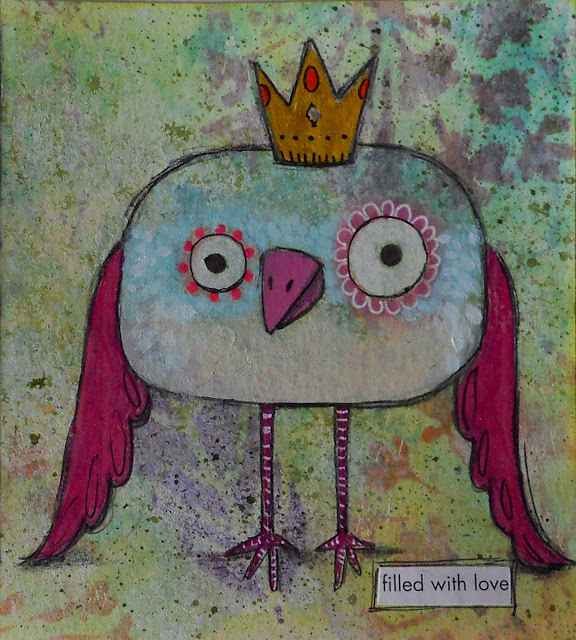 LOVE your delightful quirky birds!!! these are so joyful and charming!!! These are gorgeous with so much personality. I like the way you have painted their eyes. 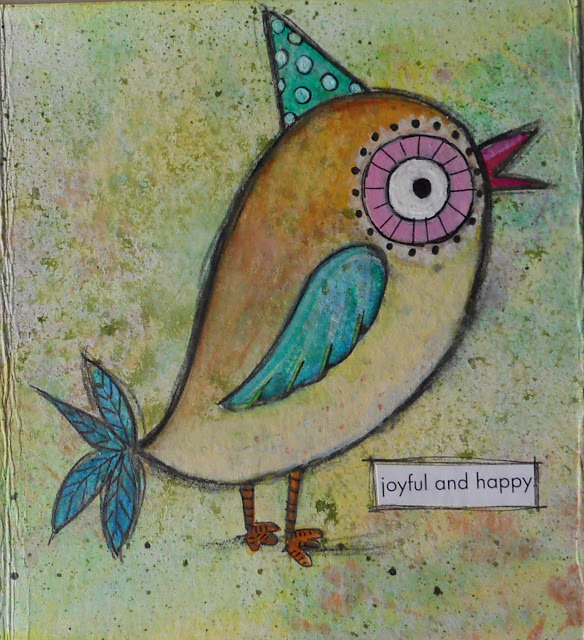 I love these quirky little bird creatures! They seem to be your own-the textures and colors says "Maggie" to me. A whole journal full would be lots of fun! 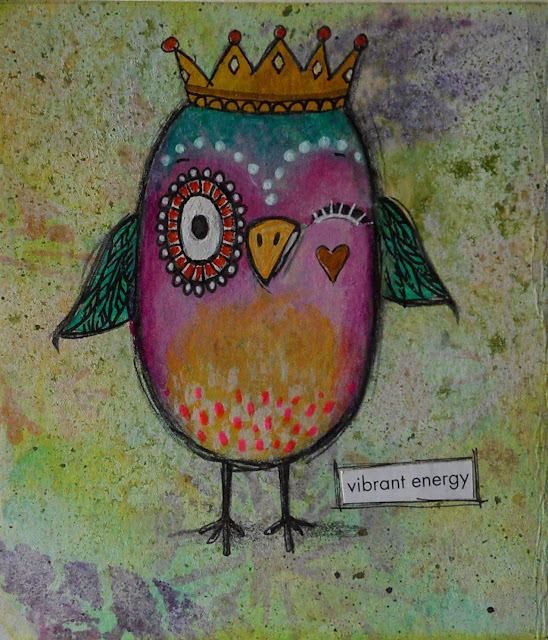 Love your cute whimsical little birds! These are so cute! I love the colors and technique. 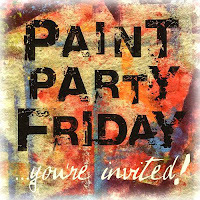 Congrats on being chosen to be featured this week on Paint Party Friday! These are soooo cute!!! Love them! I love your handsome little birdies! Congratulations on your PPF spotlight too. Blessings! I think I will make this my next Life Book Lesson to catch up with (!) it looks like fun. I love the background and the colours and the sweet doodling style. I love all these great sweet birds, so very creative and attractive! Hi Maggie! I saw your owl on PPF and he is so charming! I love your other creatures too and the backgrounds. Congrats on your feature at PPF! They are so totally cute! Your birds are just adorable - especially the "filled with love" guy.